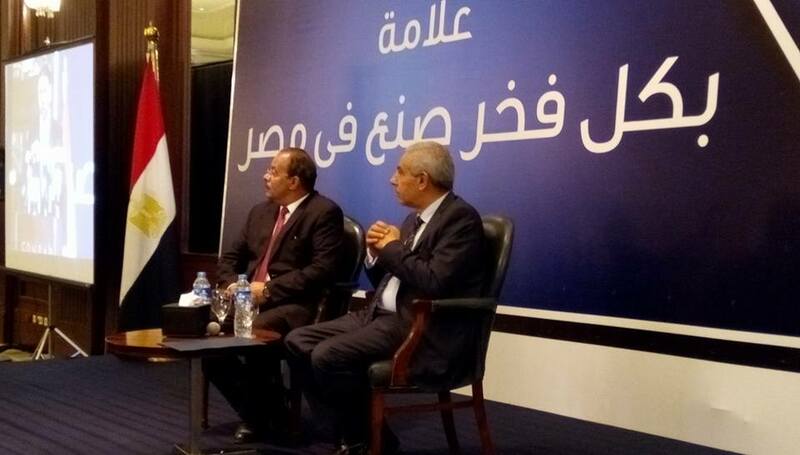 Egypt’s Minister of Industry and Foreign Trade Tarek Kabil launched on Tuesday the “Proudly Made in Egypt” campaign aiming to increase Egyptians’ reliance on locally manufactured, high-quality products. The campaign is aimed at “introducing” Egyptian consumers to such products that adhere to the quality standards put forth by Egyptian or international bodies, while protecting consumers from products from the informal sector that do not adhere to the same standards. According to the minister, the campaign will highlight the Egyptian products with quality standards that exceed those of their foreign and imported counterparts. He said that Egypt will later use the “Proudly Made in Egypt” trademark and labels to promote Egyptian products on a global scale in order to increase exports. According to the chairperson of the Industrial Modernization Center, the body mandated with labeling goods with the “Proudly Made in Egypt” trademark, companies can seek a two-year licensing period to obtain the trademark labels. The Center will assess each company’s production to ensure it adheres to the specific requirements and the process is expected to take a maximum of four weeks. Kabil said that the campaign comes as part of the government’s plan for sustainable development, dubbed “Egypt Vision 2030,” which aims to boost the annual industrial growth rate to 10 percent by 2020. Egypt Vision 2030 also stipulates decreasing the country’s reliance on imports and boosting local production and exports. In so doing, the government is looking to reduce the demand for foreign currency, which has been in short supply for the past several years. Central Bank of Egypt governor Tarek Amer began imposing restrictions on imports, a major drainer of foreign currency, since he assumed his position in November of last year. Amer said curbing non-essential imports will save Egypt as much as USD 20 billion in 2016.